Charlie started his love for firearms at the early age of 14 with his Stepfather. At 19 he became a sworn Law Enforcement officer and did so for many years. 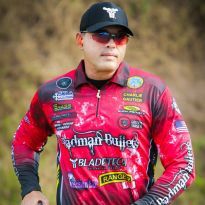 In 2012 he decided to take competitive shooting seriously and since then has won several Division Championships and picked up sponsors along the way. A professional photographer by trade, if not shooting behind the camera, is shooting behind a gun at any given range.